Not much has changed since yesterday. 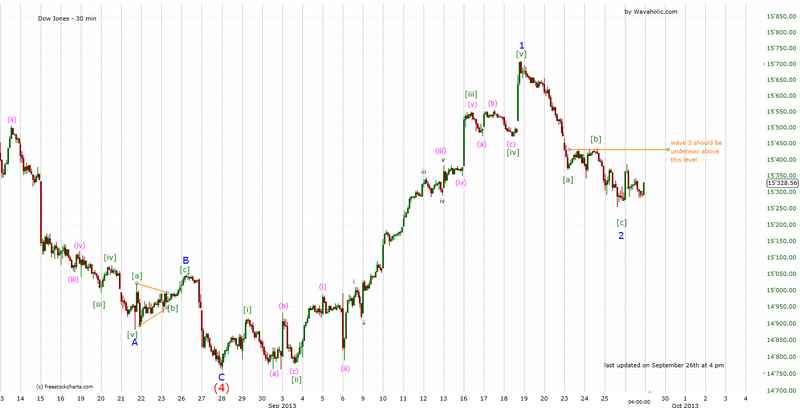 We may have completed wave 2 at 15250. However, I need to see a break above 15450 before turning bullish.